Emboldened by my success making levain rustic loaves from Chad Robertson's Tartine, I decided to try some variations that he provides in the book. 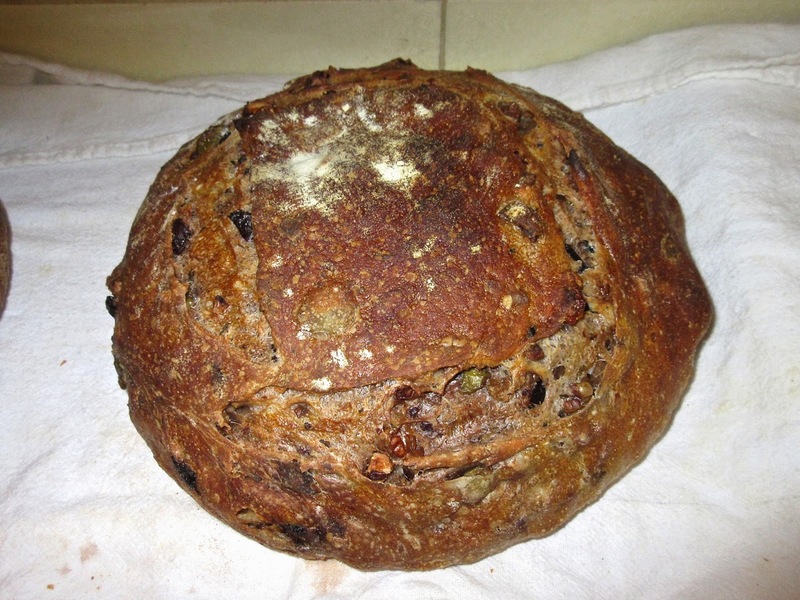 I made his standard two-loaf recipe, then divided it into two loaves early in the "bulk fermentation" process rather than at the end, and added the extra ingredients: chopped olives and walnuts in one, toasted sesame seeds in the other. Spectacular success, particularly the olive walnut loaf, which was moist, light and earthy and certainly one of the best things I have ever made. Both had inviting dark crusts. 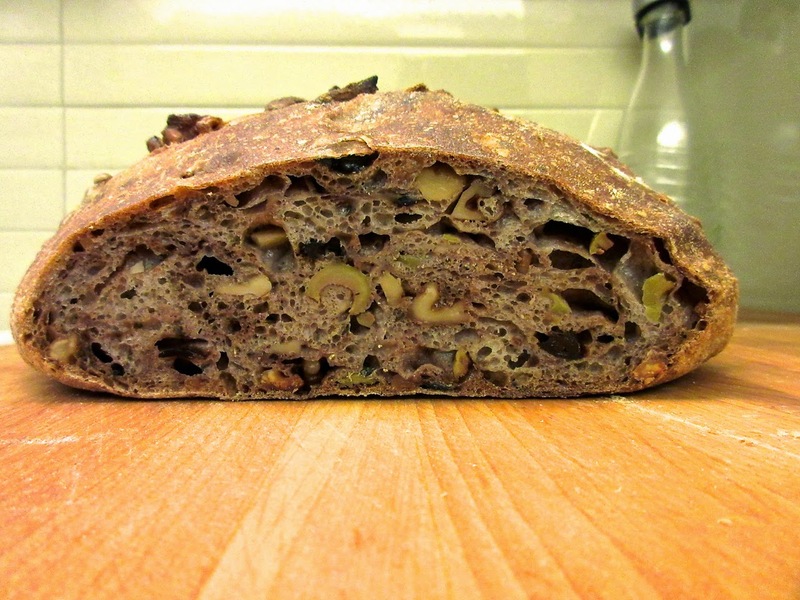 The sesame loaf was excellent, too, but did not rise to the heights of the olive walnut loaf. But some of the best toast ever. 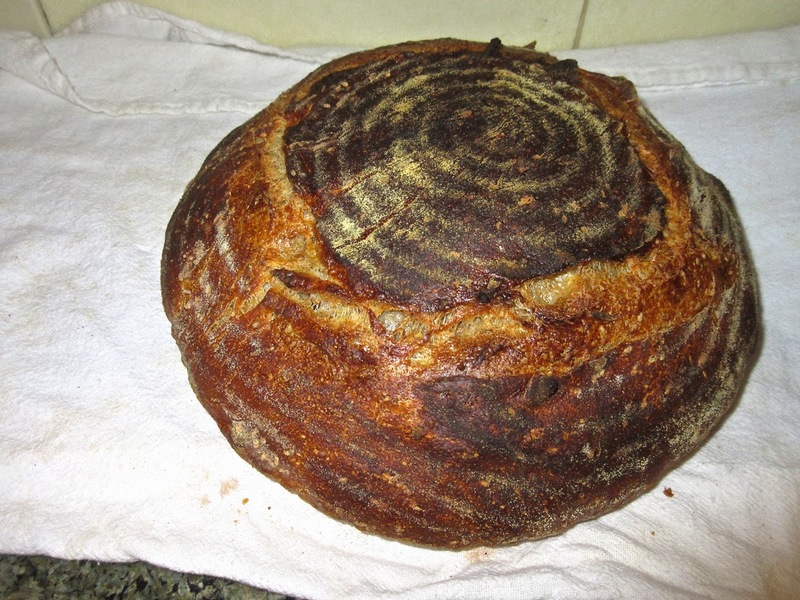 It is pretty crazy to make this bread, given the time and timing commitments, but the results are pretty fantastic!